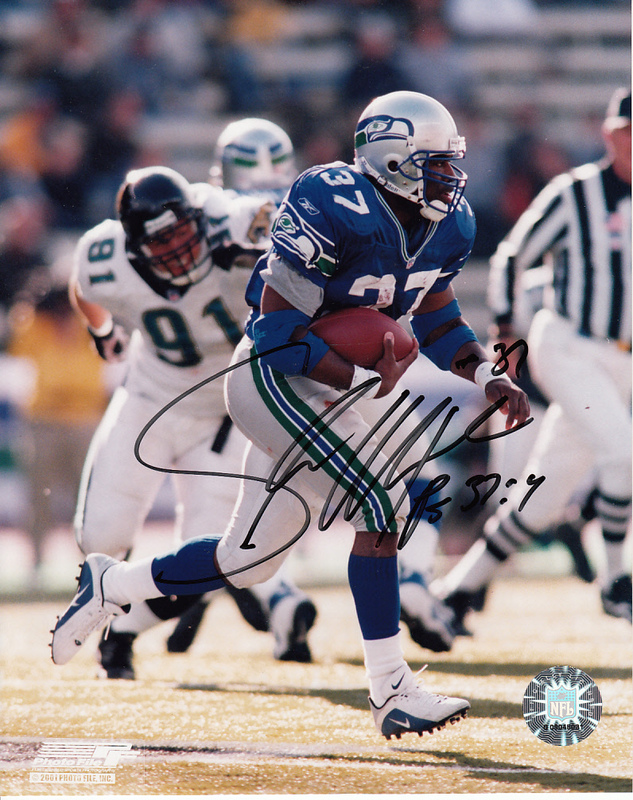 8x10 Seattle Seahawks photo autographed by former superstar running back Shaun Alexander. 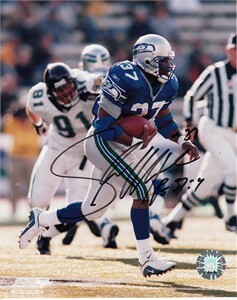 Obtained in person at the team hotel in San Diego several years ago. ONLY ONE LEFT. With certificate of authenticity from AutographsForSale.com.